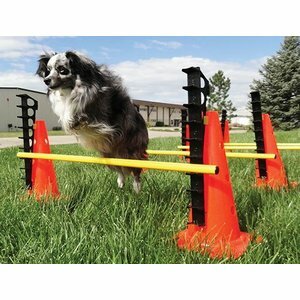 A wonderful portable set of obstacles for agility training, consisting of 4 jumping bars, 8 cones, 8 height-adjustment attachments and a black carrying case. 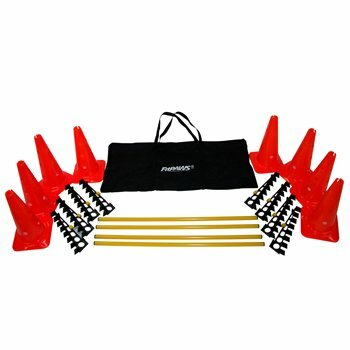 This beautiful set is suitable for agility training, and you can take it easily with you in the included black nylon carrying case. 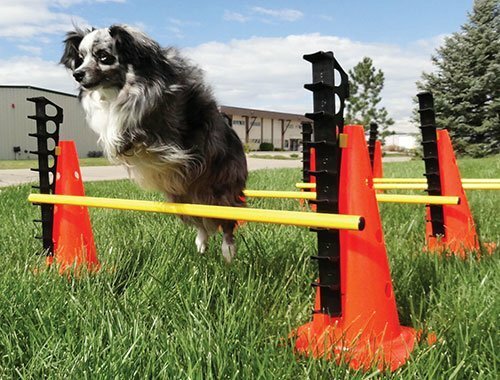 The set consists of eight orange cones and four jumping bars. The height of the jumpoing bars can be vaied with the eight supplied attachments. 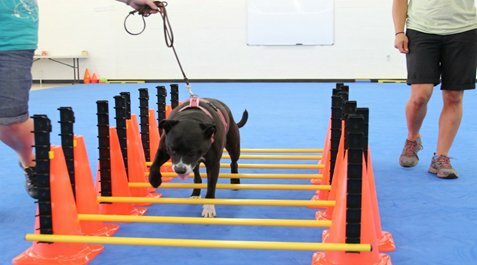 The minimum height of the jumping bars is 5 cm, which height is particularly well suited for rehabilitation. The height is incrementally adjustable by 5 cm to a maximum height of 76 cm. 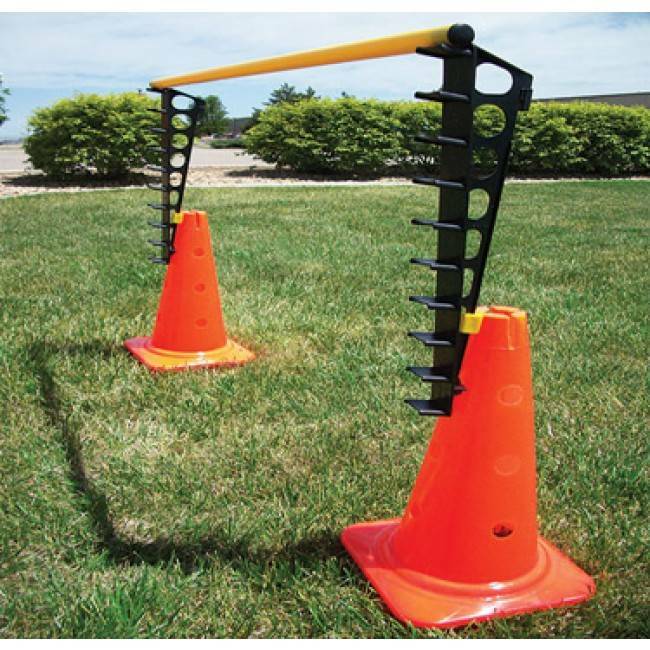 The obstacles set can be used indoors and outdoors. The total weight of the set is approximately 5 kg.